Osteopathy is system of assessment, diagnosis, treatment, prevention and rehabilitation of musculoskeletal problems and the effects of these conditions on patients' general health. Osteopathic Philosophy focuses on the relationship between the body’s structure and its function. 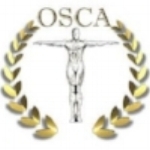 Osteopathy is a safe, gentle, effective, and holistic approach that uses hands on techniques. An Osteopath ensures that all treatment is tailored to the individual patient. Osteopathy is one of the oldest medical practices. Private Medical Insurance accepted: AXA PPP healthcare, Cigna - WPA - Simply Health - Vitality Health, HSA. A detailed discussion of your current problem(s). A detailed discussion of your medical history and systemic health as appropriate.A full postural and physical examination (may include orthopaedics and neurological testing as well as a general health screening). Treatment management may also include the prescription of rehabilitation exercises and advice on posture, diet, ergonomics, and lifestyle.